At South-Tek Systems, we believe in keeping things simple. That is why our PSA Nitrogen Generators are engineered for little or no preventive maintenance and designed to last for 20 years or more. In fact, the only maintenance necessary to maximize the life of your STS Nitrogen Generator and keep it operating at optimum performance is regular quarterly filter changes. Changing the filters is easy - they twist on and off with your hand and the process is done in minutes. If you are running low on replacement filters, we have a simple solution for that as well. We now have a convenient online order form on the STS website. All you need to do is go to the Filter Replacement Products Page, enter your contact information, generator model, and the serial number (you can find this on the sticker right on the front of your generator) and we will be right back in touch with price and availability for the exact filter replacement products you need. Things may only get complicated when the filters are not changed regularly. We want your life to be simple, too, so we will even send you reminders when your filter changes are due. A Nitrogen Gas Generator is easy to maintain, and is the simplest and least expensive way to get the Nitrogen you need when you need it! Choosing the right Nitrogen Generator for your Nitrogen application is critical to ensuring that your maximum usage is accommodated. You don't want to end up with a system that will leave you high and dry when you have unexpected spikes in Nitrogen usage. On the other hand, buying a generator that is larger than you actually need can mean unnecessary extra costs, a mistake that few companies can afford to make these days. South-Tek Systems is committed to designing the right Nitrogen Generator for your needs, and now offers the Nitrogen Flow Verification Program, the ideal way to accurately verify your flow rate requirements prior to purchasing a Nitrogen (N2) Generator. This ensures the N2-Generator you purchase will be sized correctly for the flow requirements of your process. Taking this extra step will give you peace of mind and ensure that you are buying exactly what you need - without spending more than is necessary, and without having to "make do" with a less than optimal system. The flow meter is housed within a 36” long pipe with flare fittings on either end. It is simple to connect to the tubing for your line, monitor the flow rate display, and record the maximum nitrogen flow rate used in your process. Once your test has been concluded, it is equally easy to remove the flow meter pipe and reconnect the tubing for continued process use. All you need to do from there is provide South-Tek Systems with the maximum flow rate you see during your test and we will size a N2-Generator properly to meet your nitrogen usage needs. For details on how to take advantage of this service, contact South-Tek Systems. One of our technicians will guide you through the process of obtaining, installing and monitoring your flow meter, then propose the right Nitrogen Generator for your needs. You may have already seen our post about the energy saving benefits of using a Nitrogen Generator. If you think about it, a Nitrogen Generator really just "borrows" Nitrogen from the air for your application. It then goes right back out to the air where it belongs, without dragging along dirt or contaminants with it, or creating any other particulate or nasty substance to alter the world around us. Nitrogen Generators also cut down on huge tankers hauling liquid down our nation's highways. Nitrogen comprises more than 78% of the air, so it is an infinitely renewable resource, and we find this completely neutral effect on the environment to be truly, well... natural! And what will you do with the money you save when you end your gas contract and make your own Nitrogen with a Nitrogen Generator? You might look into even more opportunities to be greener with your business. Corporate tax incentives for energy efficient lighting, building insulation, renewable energy resources and many more energy and cost saving technologies have been in place for several years, and some have been extended this year. Considering some "green" modifications with the money you no longer pay the gas company might make those savings go even farther with energy conscious tax breaks. 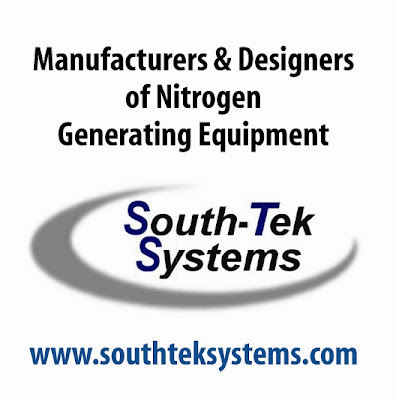 We have a customized Nitrogen Generation System just for your application at South-Tek Systems. 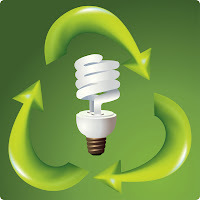 Contact us to find out exactly how much you can save, and how much "greener" your company AND your budget, can be! If your company has been cutting back on shifts and production schedules, you are not alone these days. Industrial and manufacturing plants are making common sense adjustments every day that lower overhead costs, in response to fluctuations in demand. Decreases in your Nitrogen gas usage will naturally accompany any lowered production times, which will reduce the frequency of your Nitrogen deliveries and overall monthly costs. Keeping in mind that most gas suppliers have included per ccf price increases in anticipation of variations in delivery quantities, however, when your usage drops below the threshold for your contracted lowest price, the cost per ccf goes up. Not that this is such a big deal, since it is usually only a few cents, and overall your gas bills will be lower as your consumption drops. The time to carefully look at those bills is when the economy starts to pick up and your consumption increases again. Start monitoring your per ccf charges as soon as production revs up. You may reach your contracted price level but still see the higher cost on your bill, and those additional pennies per ccf will start to add up quickly! Right now may be a perfect opportunity to consider making your own Nitrogen on site. With a Nitrogen Gas Generator, the only Nitrogen costs you have to pay each month are included in your electric bill. You will save on expensive delivered gas costs from the minute your Nitrogen Generator is installed, and monthly gas costs become stable and predictable regardless of your production schedule. With a Nitrogen Gas Generator, you can stop chasing down your discounted rate from the gas company. In fact, you don't have to track your Nitrogen costs at all. That means you can keep your eye on growing your business, not on your Nitrogen bills! South-Tek Systems can help you decide if a Nitrogen Generator makes sense for your business. Find out today! Happy first day of Spring from the South-Tek Team! This is not an unusual question from our clients when it gets down to figuring out where to put that new Nitrogen Generator. Manufacturing plants, laboratories and processing facilities are already crowded with equipment, and finding a convenient spot for a Nitrogen Generator takes careful consideration of the size of the system as well as your floor plan layout. Before you get too focused on that underused closet or out of the way corner, it's a good idea to get dimensions not only for the generator itself, but for the air compressor and storage tank you may need. Both of these accessories will be sized for your specific application needs, and typically are installed together with your generator. Your Nitrogen Generator supplier can present options for placement that will fit with those needs. For instance, your specific requirements may allow you to opt for a generator that is actually mounted on the storage tank, a convenient space saver. Once the right generator has been sized for your application, you will have specific dimensions for each component of your system, and can discuss placement options with your Nitrogen Generator supplier, or with your own mechanical engineering staff or consultant. Regardless of your space considerations, eliminating the clutter, storage and handling time of bottles and tanks is a bonus on top of the cost savings your company will experience by opting for a Nitrogen Generator. South-Tek Systems is a full service designer and manufacturer of Nitrogen Generators. Sizing the right system for your needs and factoring in your space requirements is all part of what we do for you! A Nitrogen Generator can save your company significant cash, and we do a lot of posts about that particular benefit in the STS Blog. That's because we know that cutting down on operating costs is on everyone's mind these days, and saving money is just good business sense no matter what is going on with the economy. We thought it might make even more sense if we illustrated the point with some real numbers. Many of these blog posts emphasize that there is a typical cost savings of up to 90% over delivered Nitrogen gas, once payback for a Nitrogen Generation system is achieved. This is not an exaggeration! Here is how it worked out for a company looking at a mid-sized N2-S Series Generator system. For their oven purging application in operation 24/7, the client was purchasing 70,000 ccf of Nitrogen at 56 cents per ccf of bulk/liquid Nitrogen, which adds up to $39,200.00 EVERY year. The total cost to put a Nitrogen Gas Generator on-site for this application is $45,432.00 including the cost of an oxygen analyzer and storage tank.By redirecting the $3266.67 per month currently spent on their Nitrogen gas deliveries into buying a Nitrogen Generator, this company will have paid for their Nitrogen Gas Generation system in just under 14 months. At that point, instead of paying $39,200.00 per year (or more), their Nitrogen bill is $4,411.00 - the cost of the electricity to run a 15 HP air compressor. That is a BIG price drop, from $3267.67 down to $367.58 per month, a total savings of $34,789.00 per year - and a whopping 89% less than they pay the gas company! If you want to plug in your own numbers, let us know, and we will be happy to show you how quickly you can hold onto more money for your business! South-Tek Systems is Expanding Our Engineering Staff! Today we are welcoming Jason Ingoe to our Engineering Department here at South-Tek Systems! Jason comes to us with a Bachelors of Science Degree in Mechanical Engineering from USC, plus an Associate’s Degree in Design Drafting Technology. He has held positions in Manufacturing Engineering and Project Engineering over the last 8 years since his graduation from USC. Jason will be responsible for the Engineering and Design of our product line. Along with streamlining the procurement and production processes for our current Nitrogen Generators, he will take an active role in Product Improvement and New Product Development/R&D. Glad to have you join us, Jason!